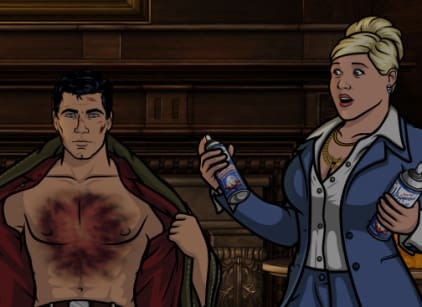 Archer, Ray and Cyril recount to Malory the series of events which occurred after leaving Colombia, which includes a run in with a shady arms dealer (voiced by Christian Slater). And why are you dressed like the whore the rest of the trailer park finally decided they had to stone to death? Do the right thing, Cyril. You have nothing to live for. Permalink: Do the right thing, Cyril. You have nothing to live for.